Penrith’s most vulnerable are to have a new home by Christmas as the State Government delivers a new Social and Affordable Housing Fund (SAHF) site. In Partnership with the St Vincent De Paul Society, the 68-unit Coplex development, which sits on Doonmore Street, is the largest in the SAHF program since its inception. 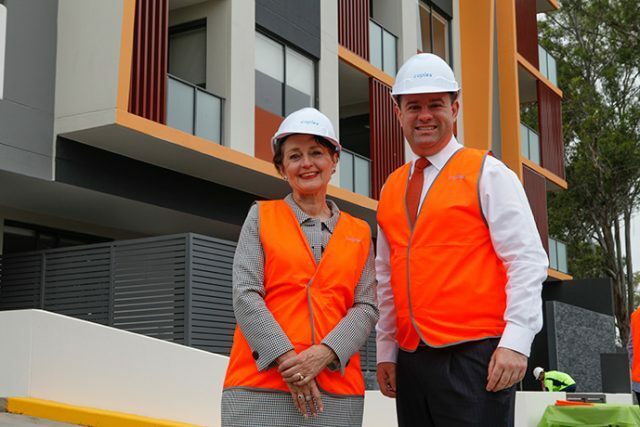 Penrith MP Stuart Ayres and Minister for Social Housing Pru Goward joined representatives from St Vincent De Paul and Coplex to tour the building on Wednesday. Ms Goward, who met with some of the new tenants, said the completion brings phase one of the program to the halfway point. “The NSW Government’s record building program is evident in Sydney and across NSW, more social housing, more opportunities for tenants and a better experience for people in social housing,” she said. After 18 months of construction, the building is now ready for new tenants to move in. The 68 units will see a variety of families and singles who seek a mix of both affordable and social housing. Mr Ayres welcomed the announcement and said the complex will be the perfect Christmas gift for the tenants. “This state-of-the-art complex will assist close to 100 people who are struggling in the private market,” he said. 65-year-old tenant Janette Watts said moving into the complex will allow a bigger family to move into the three bedroom house she’s lived in for the past 35 years. 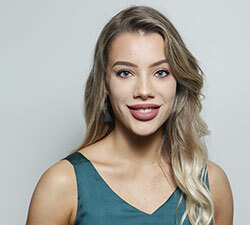 “I think it should go to a family, it was just me in there for most of the time, but now I am a carer for my sister, this apartment is going to be a great size for the both of us,” she said. The SAHF is a key initiative of the Future Directions for Social Housing in NSW, as part of the State Government’s plan for social housing. It is expected to deliver 27,000 social housing, 500 affordable housing and 40,000 private housing dwellings over the next decade.